This month might be the Seventh Month Hungry Ghost festival but we need physical bodies to be part of the action. 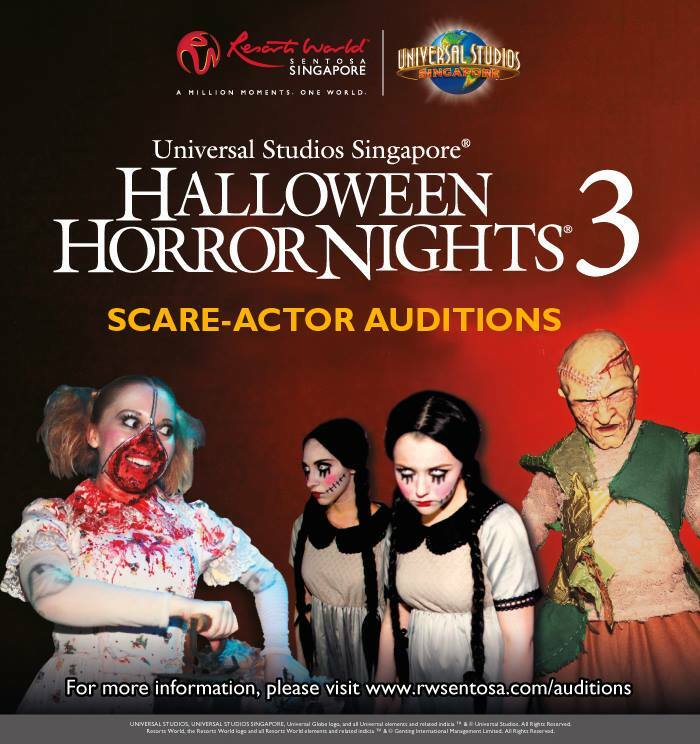 Last chance to be a scare actor for Universal Studios Singapore Halloween Horror Nights 3!! Show us your best blood-curdling scream! – Perform in scare mazes and scare zones. – Wear masks or theatrical make-up. – Work through each event night in an energy-demanding role. To be a scare-actor at Halloween Horror Nights 3, you must be willing to act and able to take direction. We are looking for individuals who are talented, versatile and enthusiastic. You should also be in good physical health given scare mazes are physically demanding spaces to work in. You will find need for good stamina and endurance. – Are you afraid of the dark? – Does the sight of blood (realistic paint, not real) affect you? – Do you suffer from claustrophobia? Experience in acting or scare-acting is a bonus but absolutely not a necessity. Paid training and rehearsal time will be provided. For further information, visit USS Halloween Horror Nights 3 Scare-Actor Auditions.